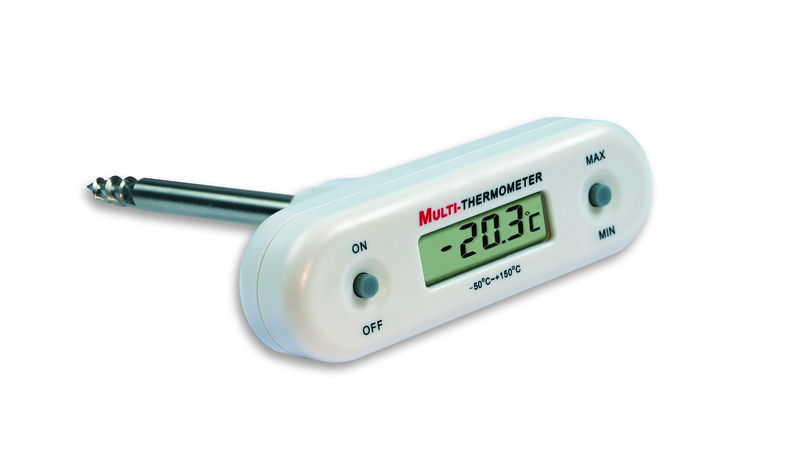 This extremely robust thermometer from TFA stays firmly in the hand thanks to its T-shape and it has a corkscrew tip for the temperature measurement of solid foods such as frozen food. Simply screw into what needs to be checked and within a very short time, the device delivers exact measurement results. 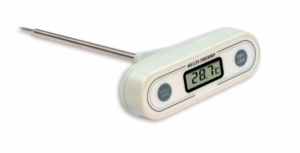 The quick temperature checking before the preparation of frozen food in the catering industry, the monitoring of the freezer counter in supermarkets, the stock check or the inspection of incoming goods in the canteen kitchen or elsewhere in the foodservice industry, these are all possible uses of this corkscrew probe tip thermometer. 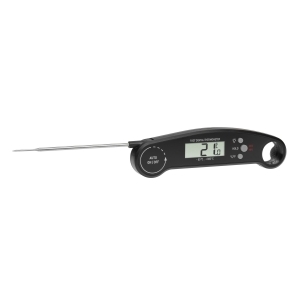 The thermometer is HACCP and EN 13485 compliant and well suited for professional use in industry, trade, commerce and laboratory. It’s jet-proof and can be cleaned under running water after use.